Various states in India are all set to celebrate the harvest festival of India on the 13th of April. This day marks the start of a new solar year for many communities and is considered a very auspicious day to start new ventures. Farmers offer the freshly harvested crop of the season to Gods. It is known by various names in different parts of the country. The following are the states that celebrate it with great pomp and show. 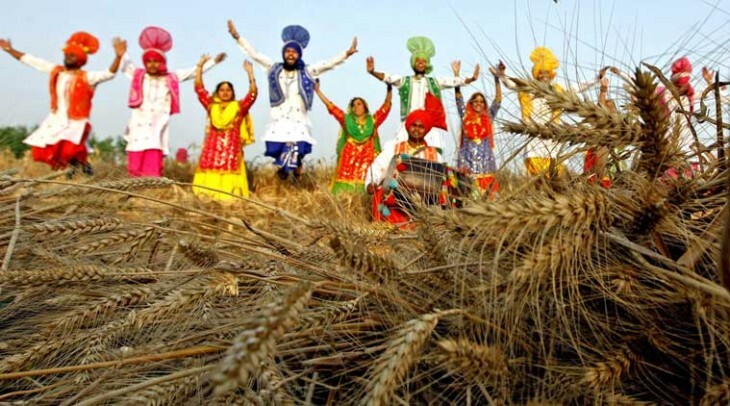 These states celebrate Baisakhi on this day. Dominated by a huge Sikh population, this day is observed as the establishment of the Khalsa community. Kirtans (singing holy songs)and Langar (lunches) are organised in Gurudwaras, the Sikh place of worship for the whole day. Fairs take place in large open grounds for the entertainment of crowds. What is also fascinating is the performance of Bhangra (State dance) by men and women. The Sikh population in United States, United Kingdom and Canada doesn’t fall behind in its preparation for the day. Community shows are organised at Los Angeles, Birmingham to mark the occasion. 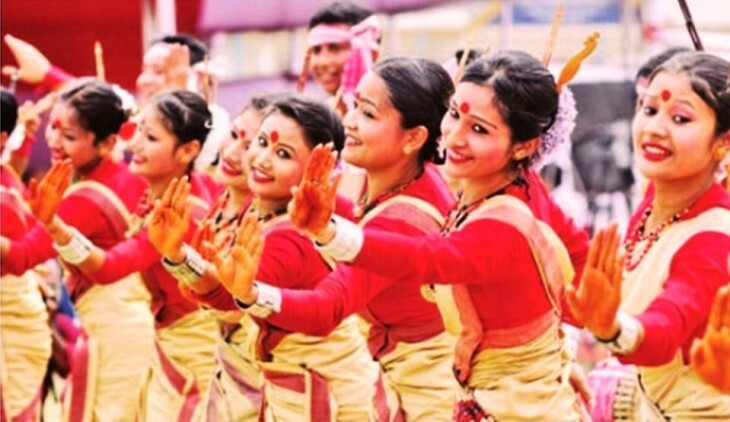 This north-eastern state celebrates the vibrant Rongali Bihu on the 14th of April. Traditionally women prepare savouries (Pitha– a sweet dish made of rice and coconut). Men and women seek the blessings of elders and dancers perform on the Bihugeet (songs), wearing red and gold thread spun attire, Mekhala Chaadar. This is also supposed to be a festival celebrating women’s fertility. Dances have specific hip and arm movements showcasing a woman’s sensuality, signifying a mating ritual. This state dominated by the Bengali population celebrates Poila Baishakh, Poila in the Bengali dialect, meaning ‘one’ and Baishakh, the Hindu name for the month of April. April 14th is the beginning of the Bengali New Year. Friends and family meet each other, prepare and distribute sweets and buy new clothes. Fish being part of the staple diet of the Bengalis, various delicacies are cooked. Many stick to a vegetarian diet for the day. Raw mango chutney loved by adults and children alike is a must. Bengali merchants consider this day as the mark of their new commercial year. The south Indian state celebrates this day as the start of the Malayalam Calender. The festival, known as Vishu, is also an agrarian festival in the state. People clean their houses and wear new clothes. What marks the occasion is a decoration of houses with fresh flowers of different hues, banana chips and different varieties of curries are prepared. Coconut milk and rice is served with jaggery. We wish everyone a fun-filled and happy New Year! Previous articleHow to Attract my Husband in Bed?